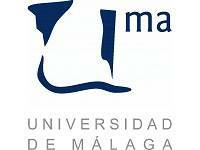 The Universidad de Málaga (UMA) and the Consejo Superior de Investigaciones Científicas (CSIC) provide a joint research center, the Instituto of Hortifruticultura Subtropical y Mediterránea “La Mayora” (IHSM). IHSM was created in 2010 through the fusion of the plant research groups from UMA and the groups from the Estación Experimental La Mayora (EELM-CSIC). The main goal of IHSM is to promote state of the art research and innovation in subtropical and Mediterranean horticulture, and to strengthen the productive sector through knowledge transfer, technological training and expert advice. IHSM employs 27 staff senior scientists from both institutions, UMA and EELM-CSIC. 10 doctors are employed through competitive programs and 8 are under contract of different projects. Additionally, 52 graduates are funded by several programs and projects as well as 24 technicians. Since its creation, 150 ISI papers have been published by IHSM, with more than 100 in the top 25% of their research areas, and almost 50 in the top 10%. The IHSM received 10Mio € funding for the period from 2010-12 from regional, national, European and international programs. IHSM has also signed contracts with companies of the agrifood sector for a total of 1.5Mio € during the period 2010-12. UMA has state of the art analytical suite with complementary MS platforms for metabolomics applications available: a large computer blade for storage and manipulation of large datasets. UMA has also a newly set up Bioinnovation Building, pioneer in biotechnological technologies. It hosts a node of the National Centre for Supercomputation, implemented by the supercomputers ‘Pablo’ (the fourth biggest in the country) and ‘Picasso’, the Andalusian Platform for Genomics and Proteomics, and one of the five nodes for the National Institute for Bioinformatics. Within the GoodBerry project, UMA coordinates the project, and thus, is responsible for the scientific project management. Furthermore, UMA contributes to several tasks, such as the transcriptome and metabolites analysis related to fruit quality, identifying eQTLs and mQTLs and genes responsible of these characteristics for the development of molecular markers for MAS (marker assisted selection) amongst others.